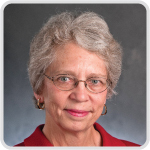 Margaret Holmes-Rovner, PhD, was recently awarded a grant through the Agency for Healthcare Research Quality (AHRQ) for her project: Clinical Communication Following a Decision Aid. The project will focus on a particularly difficult area of shared decision-making by looking at doctor-patient interactions for patients who have been diagnosed with prostate cancer. Deciding on prostate cancer treatment is troubling and controversial, because data does not consistently show any treatment that improves overall survival, and there are large differences in side effects. The project will analyze audio recordings of doctor visits and patient surveys collected in a previous study to 1) better understand how doctors and patients decide on treatment when patients are well-informed and 2) to evaluate the impact of the amount of shared decision-making in the doctor visit on patients’ decisions. This entry was posted in Center News, Research and tagged bioethics, Margaret Holmes-Rovner, MSU Center for Ethics, shared decision-making. Bookmark the permalink.